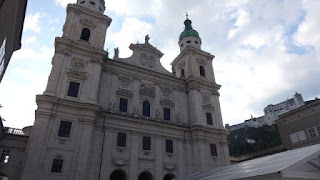 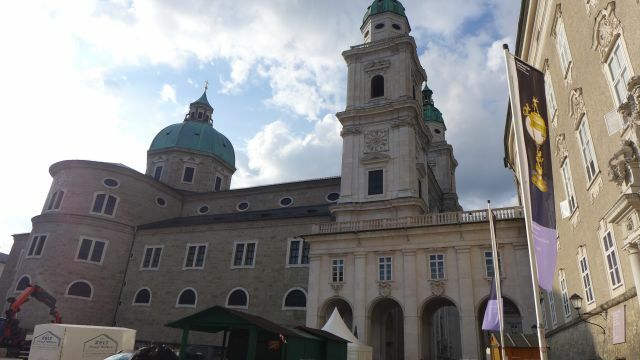 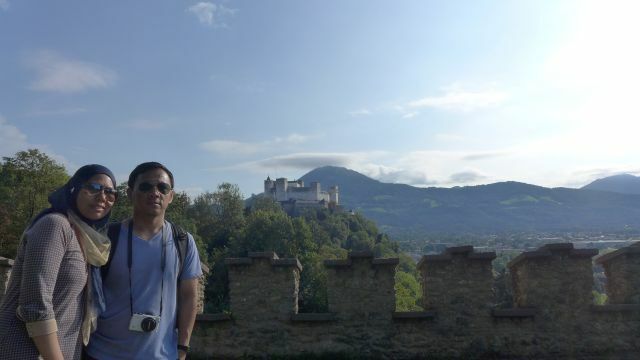 We actually only spent half a day at Salzburg city proper, although we stayed for 2 nights here, arriving at 7pm from Hallstatt, then spent a day trip to Berchtesgaden on the second day. 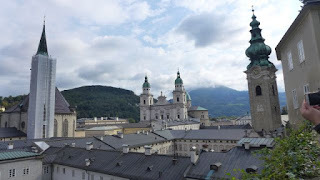 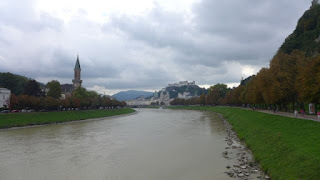 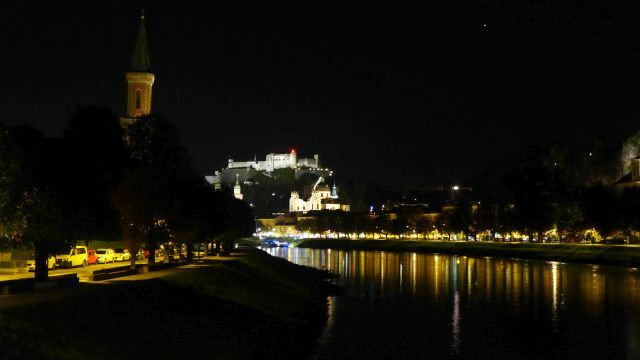 After arriving from Berchtesgaden and resting a bit in our room, we then set out for Salzburg old city or Altstadt, which is a Unesco Heritage site, by walking along the Salzach river from our hostel MyNext Summer Hostel Salzburg. 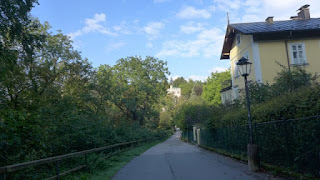 It was only a 15 minute walk (about 1 km). 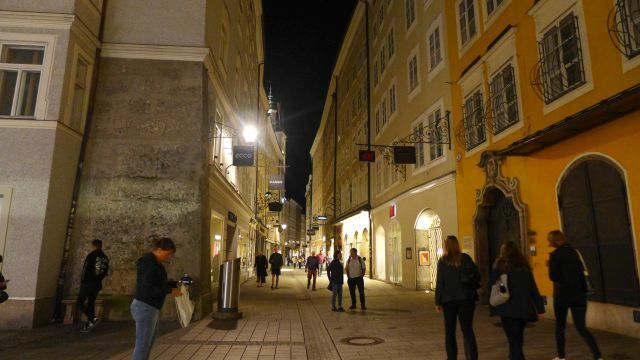 That night we just wandered along the cobbled streets of Getreidegasse in the Altstadt, lined with shops- taking pictures, then returning back to our hostel to rest for the night. The next morning after having breakfast of cheese and spinach burek bought from a Balkan bakery nearby, we set out to the Fortress of Hohensalzburg, on top of the Festungsberg hill - first built in 1077. 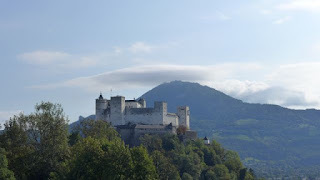 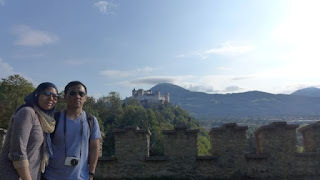 We did not enter the castle, only taking in the views from outside, and the view of Salzburg and its surroundings from the fortress. We hiked up the hill and did not take the funicular train ride. 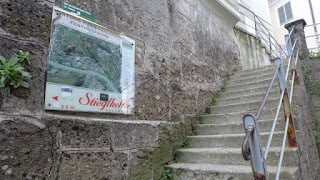 Just follow the signs there to get up to the fortress. 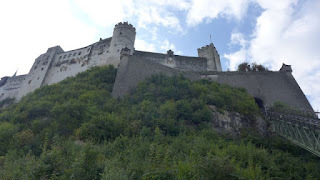 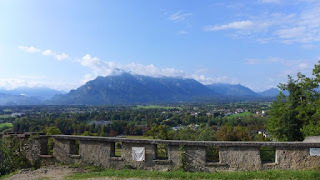 We then walked towards the Monchsberg fortifications, on top of the Monchsberg hill, just next to the Hohensalzburg fortress. The Monchsberg fortress also offers great views of Salzburg and the Hohensalzburg fortress. 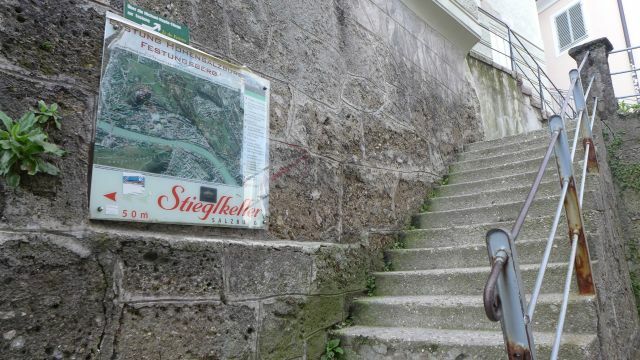 Going down the steps and narrow lanes around the Monchsberg neighbourhood (there are residents living there), we entered back the Old City, getting vantage views of the spires of the many cathedrals and monasteries of Salzburg - including the Salzburg cathedral and St Peter Salzburg monastery. 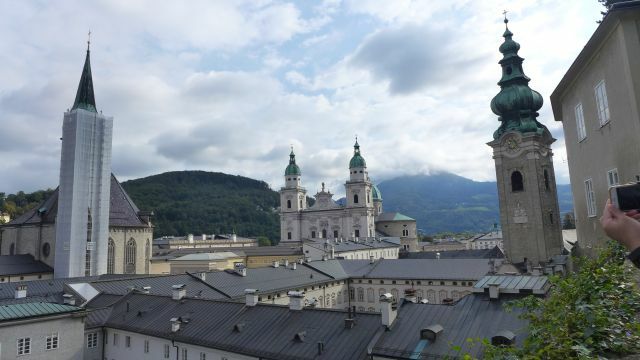 The Altstadt was now bustling with activity at the Alter Markt or old market at the square between Getreidegasse and Salzburg Dom. 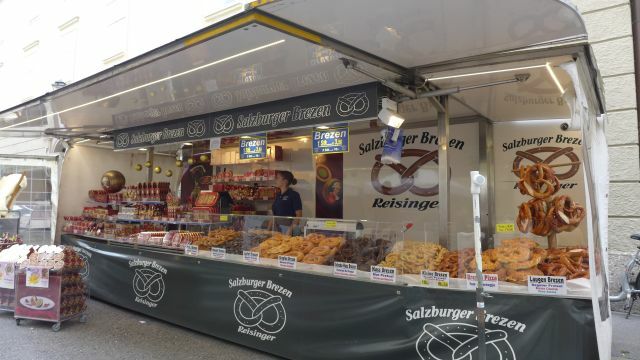 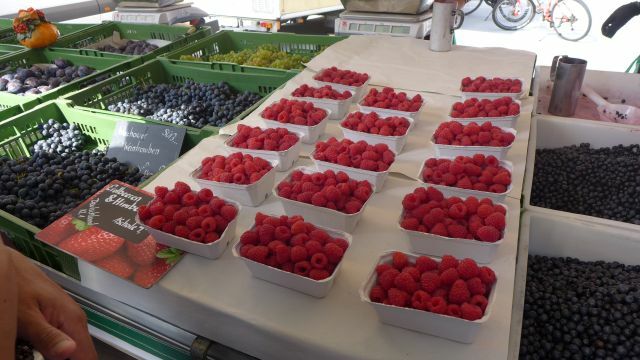 The stalls were selling fruits, pretzels, apple strudels, bread, vegetables, souvenirs, meat, cheese, sausages and other food products. We bought some berries and apple strudels for takeaway. There was also a group wearing traditional clothes performing music at the square for the Salzburg Strassenmusik fest going on until today. 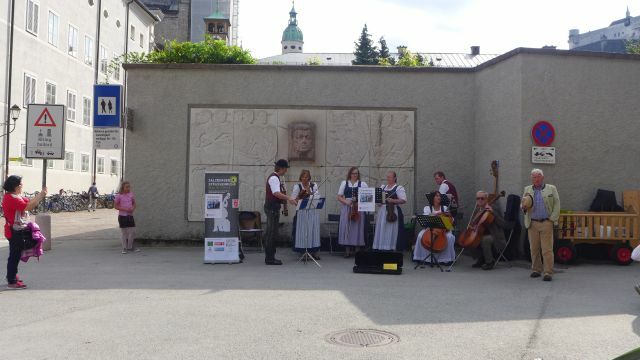 Everybody had a merry time, some dancing to the music. 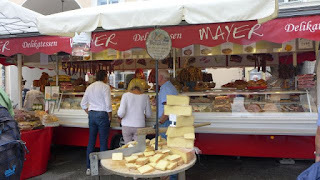 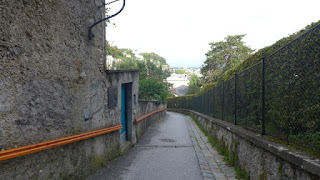 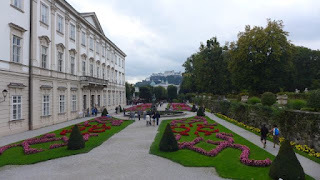 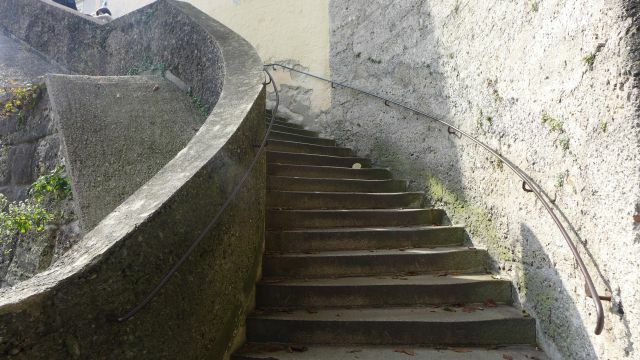 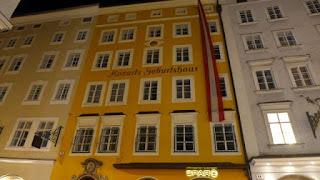 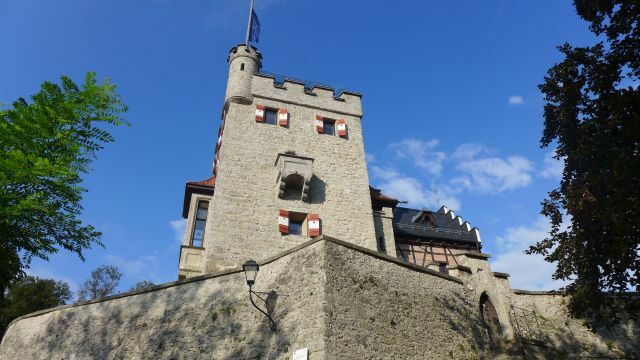 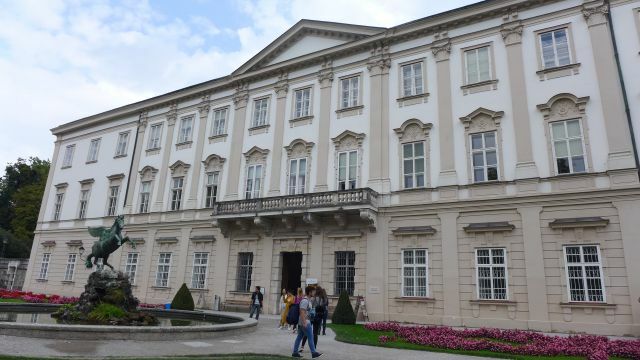 We then made our way back to the Getreidegasse, walking along the rows of shops towards Mirabell palace and garden, across the Salzach river from the Old City. 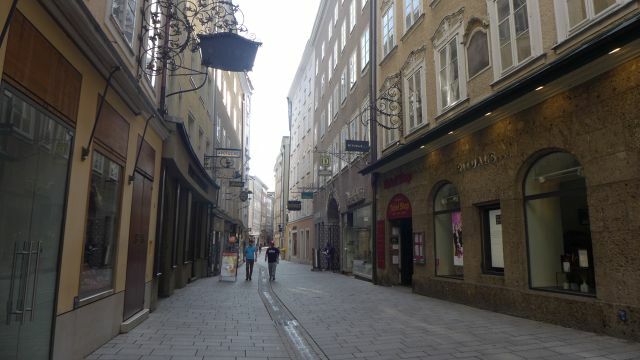 It was only about 10 mins walk from the Old Market square. 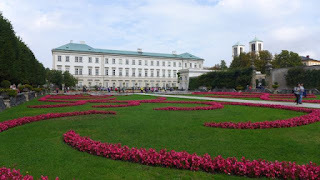 The palace was built about 1606. 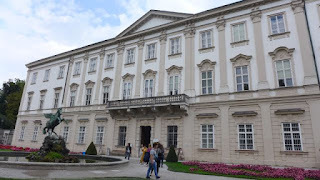 The palace now hosts the Schloss Konzerte Mirabell concerts at the Marble Hall. Outside the palace compound is the Mirabell Garden which is a popular wedding photography venue and was also one of the shooting locations of The Sound of Music film. That was the end of our Salzburg adventure as we made our way to catch our 2.10pm bus for our onwards journey to Cesky Krumlov in the Czech Republic.